Let's get into the Christmas spirit, with a little lovely Giveaway ! 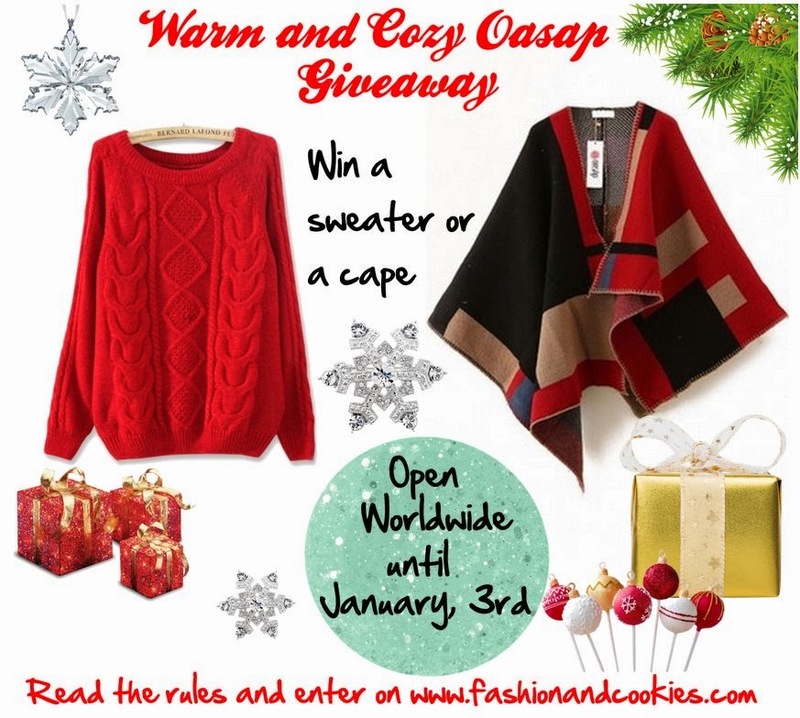 Thanks to the fashion webshop Oasap, a lucky reader of this fashion blog can win a cozy red sweater or a fancy woolen cape, inspired to the famous Burberry blanket monogram cape !. The Giveaway is international and it's starting now, until January 3rd, 2015 !. Get yourself a little extra present for the holidays, entering is easy, you just have to fill in the Rafflecopter form you find at the end of this post and follow a few simple rules. The winner will be randomly selected with Rafflecopter and announced here on the blog and will be able to choose among these two prizes ! I actually like them both, and you ?. Good luck, everyone !. Thanks for your support, keep following Fashion and Cookies fashion blog ! La cappa è deliziosa ♡ C.
Che bello questo giveaway Vale!! Giveaway is international ;), done! nice!